Home » Ensure meaningful and effective participation » Overcoming Precarity and Ensuring Social Protection: What Role for SSE? Every person is inherently a rights holder “regardless of their nation, location, language, religion, ethnic origin or any other status”, citizen or non-citizen. This is one of the main principles derived from the Universal Declaration of Human Rights, which enshrines the right to social security (Art 22) and an adequate standard of living (Art 25). Other international human rights instruments, such as the 1966 International Covenant on Economic, Social and Cultural Rights also recognizes the universal right to social security (Art 9). According to the human rights-based approach (HRBA) to social protection, States are the principle duty bearers: they are responsible for guaranteeing these rights and have an obligation to respect the rights, to protect (prevent violations), and to fulfil (actively promote rights). Despite the numerous human rights instruments, obligations and mechanisms that have been ratified and signed, a large number of individuals, families and communities have been driven to the “margins of the state” since the 2008 global financial and economic crises while precarious jobs and limited social protection are increasingly commonplace. In response to the global crises, old and new forms of collective action have (re)emerged to meet people’s social protection needs where both the state and the market have failed to fulfil them. Social and solidarity economy (SSE) is one of these forms of collective action. SSE is an umbrella term that refers to organizations and enterprises that produce goods and services while operating on principles of participatory cooperation, solidarity, equity, distribution of benefits and democratic self-governance. These organizations typically include cooperatives and other forms of social enterprise, mutual associations, self-help groups, community-based organizations, associations of informal economy workers, service provision NGOs, fair trade networks and other forms of solidarity purchasing. They also include various forms of social and solidarity finance institutions such as saving and credit cooperatives, complementary currency schemes and ethical banks, among others. To fill the gap in the State’s role as the duty bearer, and the failure of mainstream development strategies that centre on economic growth, SSE organizations have assumed the role of “moral duty bearer” in many parts of the world to address rising social, environmental and economic challenges. A growing body of evidence shows that SSE organizations can promote the social, economic, cultural and political rights of people, both as individuals and as a collective, and contribute to more equitable communities and, possibly, societies. There is also increasing attention paid to SSE organizations’ potential capacity to act as a means of implementation of certain aspects of the Sustainable Development Goals and contribute to one of the overarching principles of Agenda 2030 to “leave no one behind”. SSE has both emancipatory and developmental potential. This is particularly reflected in the forms of production, exchange and consumption activities it pursues, which tend to integrate some combination of economic, social, environmental and cultural objectives, as well as the political dimension of participatory governance and empowerment. While market relations are often present within SSE, the profit motive remains secondary to other objectives. In this sense, SSE organizations’ objectives and modes of operation can play an important part in promoting human rights, facilitating access to social protection and empowering the most vulnerable in our societies. Organizations and activities operating in the social and solidarity economy are often associated with social protection, basic needs provision, livelihood security, local economic development, equity and environmental concerns. SSE organizations create more sustainable jobs, which evidence shows are relatively less prone to economic downturn compared to other industries. They generate income, promote decent work, and provide affordable access to services such as health, education and care. SSE also facilitates the integration of women into the labour market since it allows them to balance the public and private spheres. Furthermore, SSE organizations — in particular agricultural cooperatives and collective farming initiatives — are critical to achieving food security, improving nutrition, promoting sustainable agriculture, conserving bio-diversity and protecting natural resources. SSE initiatives in Andean countries, and Bolivia and Ecuador in particular, have contributed not only to promoting the right to a healthy environment, which, while focused on human wellbeing, also integrates a biocentric approach which promotes enjoyment of human rights. SSE organizations’ operating principles and ethics promote democratic values by using democratic decision making processes, whether through consensus with unanimity, super majority voting, or “consensus minus one. These measures reinstate agency and a sense of responsibility in the members of SSE organizations by allowing them to be active participants in the decision-making process. They also generate sense of inclusion, trust, and increase wellbeing and social cohesion. Moreover, they contribute to the empowerment of marginalized groups by increasing their bargaining power vis-a-vis the State and the hegemonic culture or society. I have thus far drawn a rosy picture of SSE. It is important to note, nevertheless, that SSE faces multiple constraints. For instance, imbalanced power relations between SSE organizations and external actors and institutions, trade-offs between different objectives and weak internal governance often constitute a major impediment for SSE organizations and enterprises. Moreover, the role of SSE organizations in humanitarian crisis and their potential capacity to address the emerging needs have yet to be fully explored. Thus, when undertaking research and making policies in the promotion of SSE, it is important to highlight its limits and constraints in providing access to human rights including the right to social protection, particularly in times of austerity and populist politics, which has disproportionate effects on groups that are already marginalized, including migrants and refugees. In many countries throughout the world’s regions, governments have introduced legislation to promote and support SSE organizations. While this political support is certainly vital for SSE organizations and for the communities they support, current political developments such as the events unfolding events in Venezuela, and with the apparent shift to the right in countries like Brazil and Argentina, raise questions regarding the sustainability of both public policies for SSE and the implications this might have on SSE organizations themselves. It is therefore equally important to promote institutional resilience of these organizations and ensure their sustainability, independently from government support, something which certainly requires “innovative collective action” to achieve. 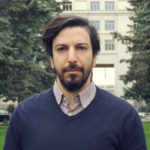 Ibrahim Saïd is a Research Analyst at UNRISD, where he works on social and solidarity economy as a means of implementation of the Sustainable Development Goals. Ibrahim completed a PhD in Anthropology and Sociology of Development at the Graduate Institute in Geneva, where he was a recipient of the Swiss Government Excellence Scholarship for Foreign Students. He also has a master’s degree from the Department of Social Policy and Intervention at the University of Oxford, which he completed in 2009. 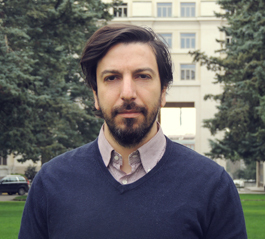 Prior to joining UNRISD, Ibrahim was a teaching assistant at the Graduate Institute in Geneva for both Masters programmes in Anthropology and Sociology of Development and Development Studies. He was also the assistant coordinator for the Applied Research Programme on Sustainable Development. Ibrahim has a diverse work experience both on national and international levels in policy-oriented research, gender, human rights, child protection, youth empowerment, micro-finance and labour market integration. His research interests are on mentalities of government, politics of life and death, moral economy, and in methodology and epistemology.